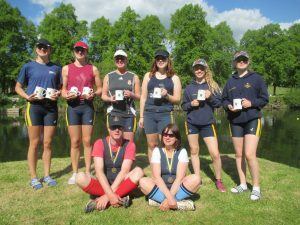 To add to this victorious list, Andrea, Jen, Emma, Kate, Karen, Nadine, Emily, and Vicky were rewarded for months of dedicated winter training with three neck-and neck races and a glorious win over Northwich; this was Regatta racing at its most exciting, to which the crowds responded loudly. 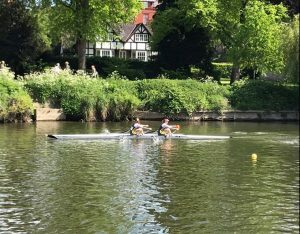 By beating a crew from Royal Shrewsbury School in the final of their event, Tara and Thomasin showed excellent technique, steering, and spirit. 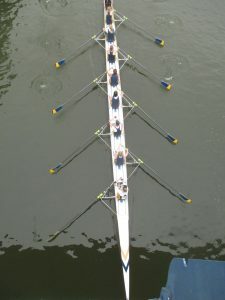 A win against one of the leading rowing schools on their own home waters is one to be noted. 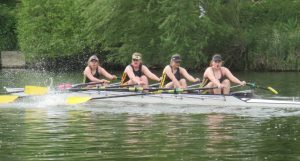 The Ladies’ Quads on both days looked powerful, and were specifically picked out by the race commentry team as strong and fast boats. 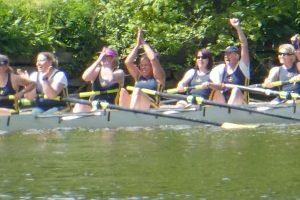 Finally, success was well deserved for Mike and Jen with their first win in their mixed Double, including crossing the line ahead of the opposition, facing the right way, and without any branches impaled in the boat. 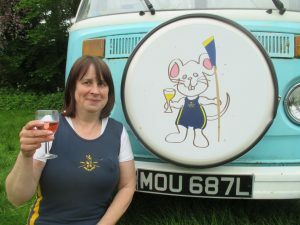 Their new Mouse lucky emblem (and some serious training) has clearly worked!